Caucus victories in Alaska, Hawaii, and Washington cap a week where the senator won six of seven contests. That was a bold statement, to be sure. 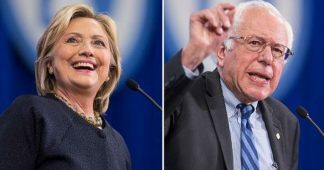 It challenged the conventional wisdom that tends to portray the contest for the Democratic presidential nomination as a done deal for front-runner Hillary Clinton. The elite consensus is rooted in a reality (the former secretary of state retains a clear lead in the delegate race) and an assumption (that Clinton will continue to score wins in key states, and that super-delegates will stick with the front-runner). 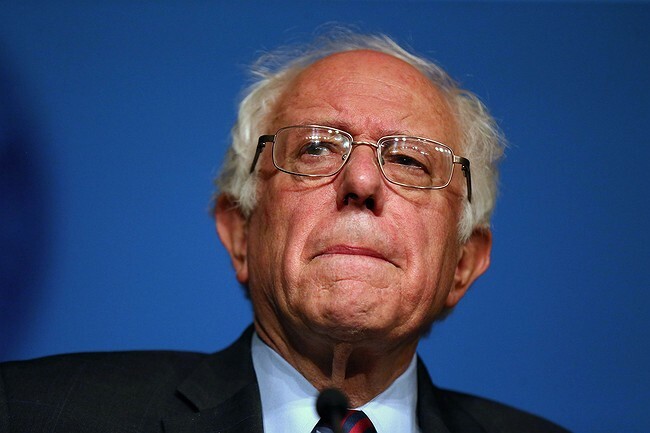 But Sanders was chipping away at the conventional wisdom Saturday night, arguing that, after a remarkable week for his campaign, it is getting harder to write him off. The week began with the news that the senator had swept the Democrats Abroad “Global Presidential Primary,” winning 69 percent of the vote from Americans living in countries around the world, to just 31 percent for Clinton. 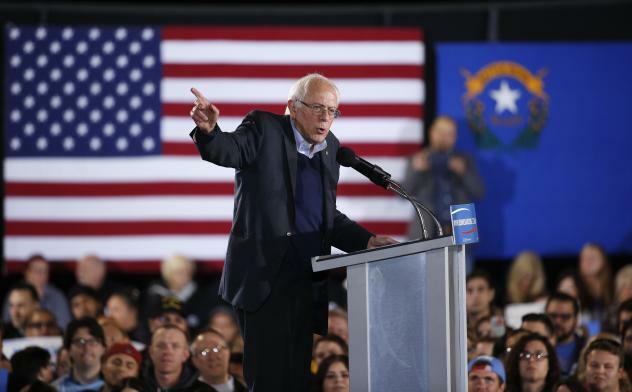 On Tuesday, while Clinton took the Arizona primary by a comfortable 58-40 margin, Sanders was winning 78 percent of the vote in the Idaho caucuses. And he won 79 percent of the caucus vote in Utah. On Saturday, the results were even better for the insurgent. 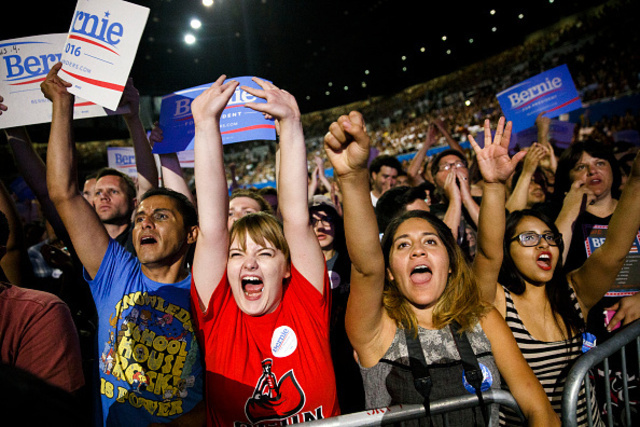 Sanders swept the delegate-rich Washington State caucuses with 73 percent of the vote. He took 71 percent of the vote in the diverse state of Hawaii, where his caucus campaign was enthusiastically supported by Congresswoman Tulsi Gabbard and former governor Neil Abercrombie. And Alaska caucus voters gave 82 percent of the vote to Sanders. The senator has now won 15 state contests. Clinton has won 20. 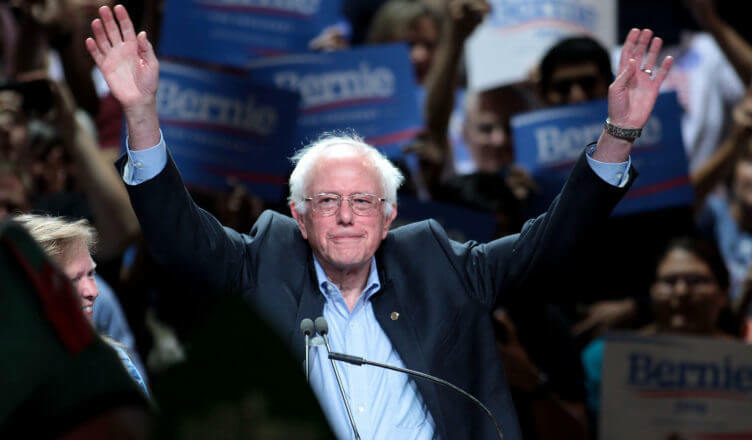 But of the last seven states to vote, Sanders carried six—a pattern that had the candidate arguing that, as the competition has moved to Northern and Western states, the tide has turned in his favor. Clinton still has the most pledged delegates, with CNN putting her total at 1,251. But with Saturday’s wins, Sanders moved past the 1,000 mark to claim 1,012 in the CNN count. Of course, Clinton has a bigger lead when superdelegates are added in—taking her to 1,733, with 1,039 for Sanders. But superdelegates can switch their allegiances, as happened in 2008 when Barack Obama began to gain traction in his race with Clinton. Most national polls still give Clinton the lead. 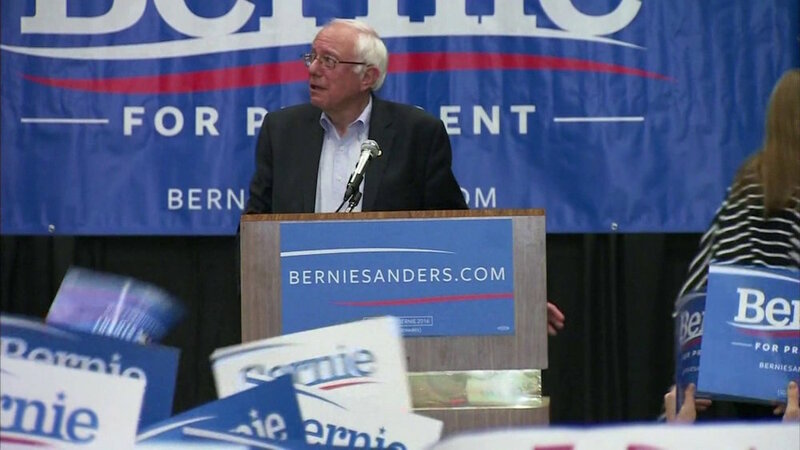 But that reference to a new Bloomberg Poll—which put Sanders at 49 percent to 48 percent for Clinton—drew wild cheers from the Madison crowd, as did the senator’s outlining of a scenario for how to get from here to there. The senator will get pushback against that sort of talk. He’ll have to fight for Wisconsin, where Clinton is set to mount a serious campaign that takes her to the state’s largest cities and several smaller ones. And New York, the state Clinton represented for eight years, will be a tough nut for Sanders to crack.